Frank Fisher has lived- and played- through history. A story in four parts. 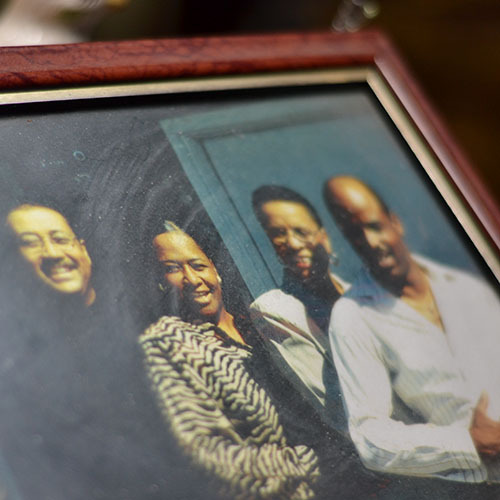 Born amid segregation, Fisher saw war-torn Germany and an evolving United States, the heyday of Bay Area jazz and the loss of beloved neighborhoods. Now, still behind his horn, he reflects on a life- and a country- changed. A story by Matt Hansen. Music arranged and composed by Frank Fisher. "Growing up, some things you just couldn't do." Frank Fisher was born in 1926 in Huntsville, Texas, just north of Houston. His mother was a beautician and volunteer nurse, his father worked at a local hotel. 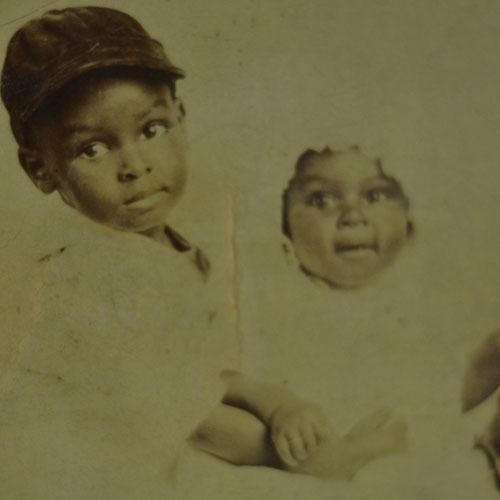 When the local hospital ran out of room for black patients, they would come to his house. Click on the map for examples of segregationist "Jim Crow" laws which operated throughout the United States until the 1960s. Examples courtesy of the Jackson Sun. Despite the laws, Fisher grew up in a tight-kit community. And he found jazz. A chance encounter in elementary school music class led Fisher to pick up his first trumpet. From then on, he started to listen to jazz greats, and knew what he wanted to do. Like so many, Fisher was swept up into World War II. He served in Germany. As data from the National World War II Museum shows, African-Americans were the highest-serving minority group in the US military during the war. While Fisher served in Germany, some of his high school classmates and teachers fought in Patton's tank divisions. Living overseas opened a new world for enlisted men. Fisher remembers Germans confused as to why black soldiers did not have tails, as Hitler had told them. Eventually, he said, there was a kinship between the two groups- the surviving citizens of a fallen nation and the neglected citizens of a victorious one. Back home, Fisher put his military skills to work. California called. 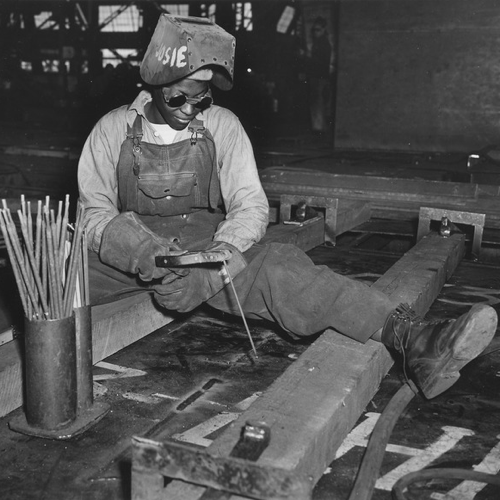 In the Baby Boom years that followed the war, many veterans like Fisher found work on military bases. In his case, he went to work at the Naval Air Station in Alameda, working on aviation electronics. The Fillmore neighborhood, 1932 Candrain map of San Francisco overlaid contemporary street grid. The neighborhood has seen several waves of residents, from Japanese shopkeepers to black musicians, and today houses mixed-use development and the Japantown shopping complex. Jazz clubs went all night. But changes loomed. The 1950s and 60s saw the heyday of Bay Area jazz clubs, with both San Francisco's Fillmore and Oakland's 4th Street labeled "Harlem of the West." But urban redevelopment swept away most of the clubs and housing in the Fillmore, replaced with reconfigured roadways and high-rise housing. Even in the Bay Area, race reared its head. Throughout the 50s and 60s, Fisher could not buy property in certain Bay Area communities thanks to restrictive local policies. Eventually, he settled in Parchester Village, a Richmond development which was the first in the state to sell to black families. Now, as demographics have shifted again, his nearest neighbor is from Nicaragua. But he doesn't complain about change. "Best neighbor I've ever had," he laughs. 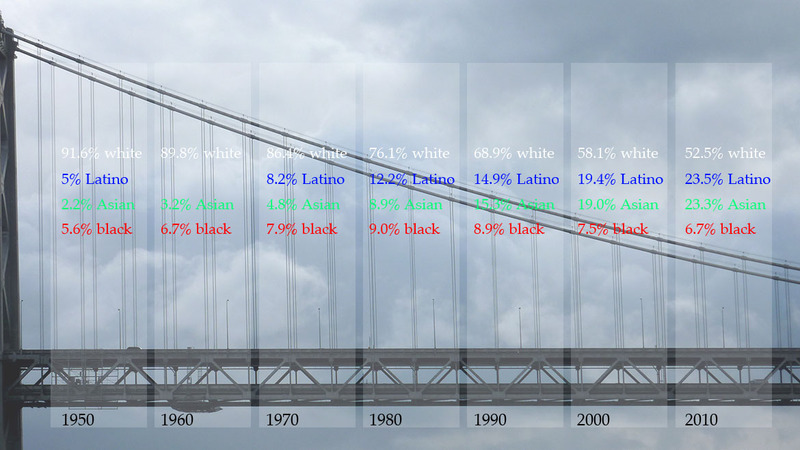 Data courtesy of Bay Area Census. A close family,across the country. Fisher displays his family photos of kids and grandkids scattered across the country. One son has a PhD, another granddaughter is getting one. And a grandson goes to Sam Houston State University, Fisher's hometown college which he could not attend as a young man. The oldest member of his band, but still playing. Fisher still plays gigs with the 19-member Junius Courtney Big Band, where his bandmates call him "the godfather." He gigs with other groups throughout the Bay Area, and plays at his church. 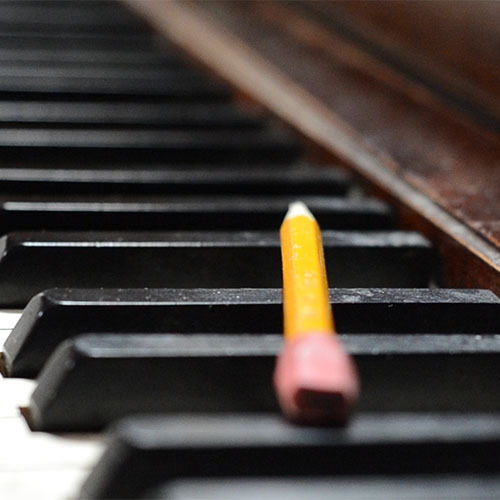 And, many afternoons, he crouches in front of his piano and composes. "Today, it's not about what race you are," he said. "It's about how well you can play." "That would correct a whole bunch of things"
Fisher still holds true to a maxim he says has served him well: "do unto others."